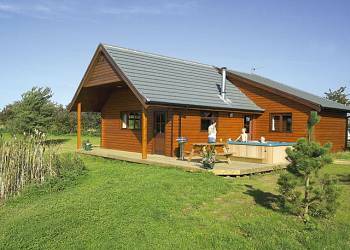 Enjoying a peaceful location in an unspoilt corner of the East Yorkshire coastline, these luxurious log lodges sit in beautifully landscaped grounds amidst 43 acres of tranquil farmland. Situated either alongside or close to well stocked fishing lakes, you enjoy coarse fishing from the doorstep. There are shops and a post office within easy reach. Ideally located for exploring East Yorkshire's many attractions the beaches at Hornsea and Withernsea are both within 8 miles. Beverley, Bridlington, Scarborough and York are within easy reach. 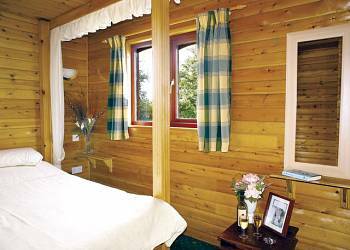 Westfield Lakeland Lodges offers the following facilities. Award winning sandy beaches and dramatic clifftop walks, stately homes and picture postcard villages, gently undulating countryside and heather clad moors, lively seaside resorts and wildlife havens - enjoy all these delicious contrasts when you stay at one of our holiday lodges on the Yorkshire Moors and Coast. All along the coast, from Whitby - recently voted the UK�s favourite seaside resort - to Withernsea, you�ll find unspoilt beaches, sandy bays and soaring cliffs and traditional amusements in family friendly seaside towns like Scarborough, Bridlington and Filey. And while enjoying our lodge holidays in the Yorkshire Moors and Coast region, be sure to visit the maritime city of Hull, home of The Deep, one of the most spectacular aquariums in the world. 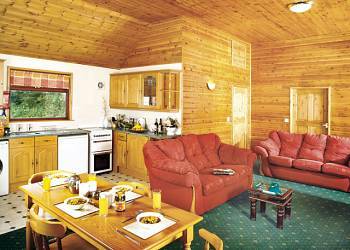 The lodges were large and had all the facilities you could want for a self catering holiday. We chose this paticular park because it had three fishing lakes and we were not disappointed - brilliant fishing and over 70 fish in one day! 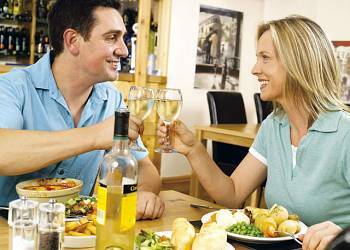 The park is clean and well maintained, a brilliant hot tub for your own private use, and the on site pub/restuarant was brilliant value (2 meals for ?12), and the portions can only be described as 'Deperate Dan' size. Very peaceful and we are looking forward to visiting again. A peaceful location, fabulous food at the restaurant and a very warm welcome from the proprietors. Excellent accommodation, nice surroundings, the fishing was good and the restaurant/pub was extremely good and good value. The best short break holiday! The accommodation was excellen,t really comfortable and cosy and warm, especially with the wood fire. Great for walking the dog, fishing in the lakes, and the hot tub was a treat not to be missed. The owners and staff could not do enough to help and make the stay enjoyable and the restaurant/pub was excellent and reasonable - just brilliant! The lodge we stayed in was lovely, lovely surroundings and great for peace and quiet. Also had a hot tub which was well worth going on holiday for. An on site shop and childrens play area would have been useful but we really had a fantastic time. Nice relaxing peaceful environment with the lodge offering everything you needed. I would recommend this log cabin to others as I have always done. Due to the location, relaxation, amenities and loyalty. We have been short breaking at Westfield log cabins for the last 5 years nearly every year and we have not found any other log cabin that has the home to home feel. I believe they do listen to these reviews too as last time we were at Westfield log cabins we suggested a flat screen TV would update the log cabins and when we arrived this time a flat screen TV was in our cabin! I would certainly recommend this site. On both occasions I have stayed there we have had a truly wonderful and relaxing time. The Fitling Arms Pub on site for food is fantastic. The quality and price are brilliant and the staff were lovely, and very helpful. A nice touch was it was my husband's birthday and when we went for our birthday meal the staff had decorated the table with blue balloons, again a very nice surprise and thoughtful touch to our stay. If you want peace and quiet, beautiful views and great fishing then this is just the place to go!! Excellent!! 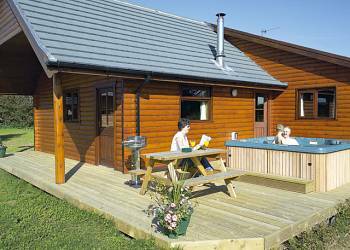 Have you been to Westfield Lakeland Lodges? Please submit your review so that others can benefit from your experience. 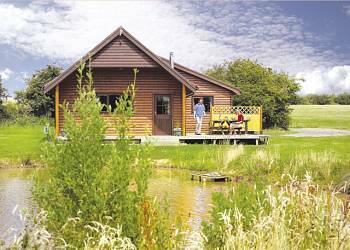 Important note: Information provided here about Westfield Lakeland Lodges is based on our best knowledge. 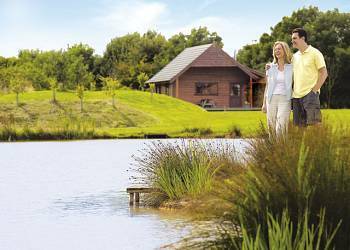 However, please check with Westfield Lakeland Lodges before booking to ensure that you have the information required. 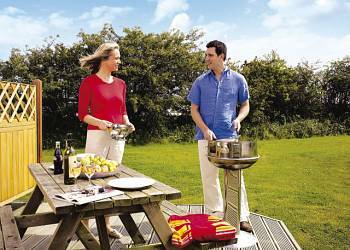 Reviews are the sole views of the contributor and do not necessarily represent the views of CampsitesandCaravanParks.com or Westfield Lakeland Lodges.